Scheduling can be one of the biggest challenges in running a landscape business operation. While a lot of companies use white boards and written work orders to manage their schedules, this can pose a challenge with the rapid rate at which information changes. This is something that Steven May, human resources and purchasing manager for RSG Landscaping and Lawn Care, Inc., knows all too well. May says that prior to using landscape scheduling software and a subsequent landscape scheduling app, that the Concord, Virginia-based company relied on verbal communication and written work orders to schedule jobs. But he says that constant changes to the schedule made this methodology stressful and inefficient. We recently spoke to May to find out more about the ways in which using a landscape scheduling app has improved operations. Like a lot of landscape businesses, May says that RSG was utilizing paper work orders to dispatch crews and schedule jobs. But May says that this caused problems on more than one level. For one, those paper work orders could easily get coffee-stained and unreadable or even lost. With written work orders, there was also no effective way to update crews if something in the schedule changed. While May says they would call or text the crew leader, getting all the information straight while out in the field and updating a paper work order with new details was far from ideal. The paper itself was also a problem and often overwhelming at times. There was a tremendous amount of paper coming in and out of the office—and plenty of paper that should have been coming but wasn’t making it on time (or at all). Even payroll was held up by cumbersome paperwork. Crews would take excess days to file their work orders and that would drag out how long it took them to get paid. May says that it can all be summed up as being inefficient. Without software to keep everyone on the same page, there was a lot of paper circulating and a lot of communication errors. 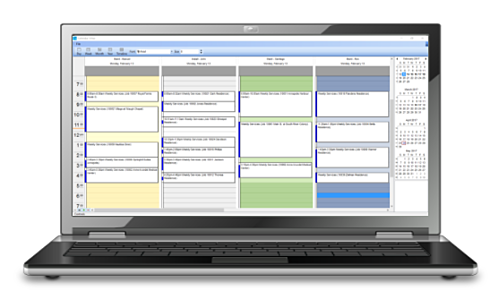 Since implementing landscape scheduling software, it probably comes as no surprise that what May says he likes the most is that he’s “no longer relying on paperwork to get the job done” May says that getting away from traditional work orders, and the trouble associated with them, has drastically improved scheduling. Those electronic work orders also spell out exactly what crews should be doing, May says. It eliminates the questions and the guesswork that can be associated with paper work orders. A quick text to change an existing work order may not be communicated properly. 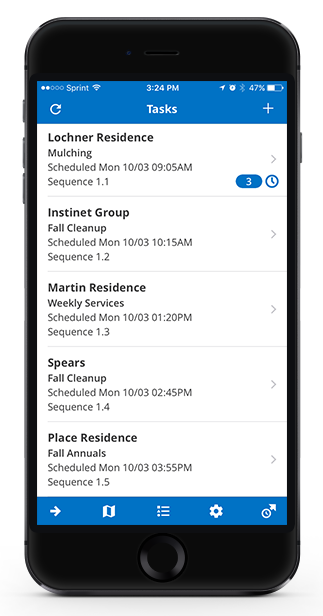 But with information dispatched through a landscape scheduling app, it’s all there in clear language. There is also no longer any time delay in keeping payroll going, which crews of course appreciate, says May. In addition to the benefits that you might expect from scheduling software such as improved communication and better-tracked data, May says that having implemented Asset, which is a fully integrated system, has provided additional benefits as well. Because it’s fully integrated and each part of the system “speaks” to the next, May says it has improved operations as a whole. Instead of scheduling being isolated, it’s now integrated with everything else. That’s a huge benefit as many landscape business scheduling software programs are just isolated to scheduling capabilities. May says that having a fully functioning system has been incredibly valuable. On the estimating side, May says that when reviewing a project he’s now able to determine whether they are meeting the budgeted hours or whether they need to re-evaluate their estimate when that project comes up for renewal. The company is also getting more accurate estimates of how much material is needed for a project, says May. It’s a lot more foolproof than having those numbers written down on a piece of paper that could be illegible or get lost. May says that using iCREWtek, which is Asset’s mobile landscape scheduling app, has also been invaluable. 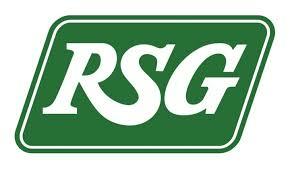 There’s no question that Asset and iCREWtek have improved scheduling for RSG Landscaping, as they have for many other businesses. You can read more on how these systems are changing the way companies do business through some of our case studies or you can hear more about how RSG and Steven May value them on this video. At the end of the day, better scheduling makes companies better overall. And with everything running more smoothly, you’ll be a lot less stressed and a lot more successful. If you’d like to find out how landscape scheduling software can improve your business, request a free demo of Asset or call us at 800-475-0311 so we can answer your questions.